Texas and Italian food seem like a curious combination. After all, this is the land of Tex-Mex and barbecue. 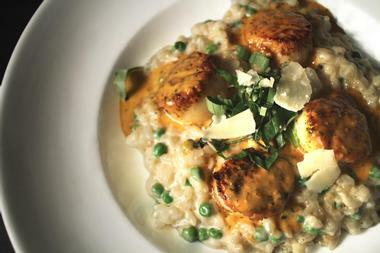 As it turns out, however, great Italian fare in Houston is not as unusual as you might think. Houston’s large Italian population has a long heritage in the city, which is mostly Sicilian. 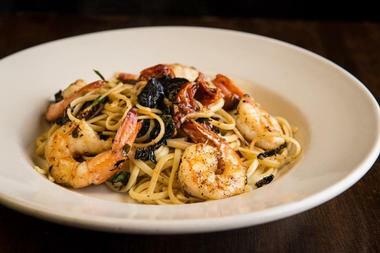 Some Italian restaurants have been family owned and operated for decades, and a few Italian family names – Petronella, Vallone, and D’Amico – have become synonymous with Houston Italian food. Others, like Arturo Boada and Chef Marco Wiles are also making their marks. Luigi’s Cucina Italiana is owned and operated by Chef Luigi, who for more than 30 years has created a complete Tuscan-style dining experience from the ambiance to the menu. His menu features Northern Italian fare with home-made specialties like Ravioli, Tagliatelle, and Tortellini ai Quattro Formaggi. Luigi best describes his food as a “pasta and garlic lover’s dream.” He’s created an array of signature dishes such as Petto Di Anatra, a marinated grilled duck breast topped with a raspberry reduction sauce. His inspiration comes from his mother’s Sunday meals all made from scratch. Diners will delight in additional Italian staples like his Ossobuco, slow roasted beef shank. 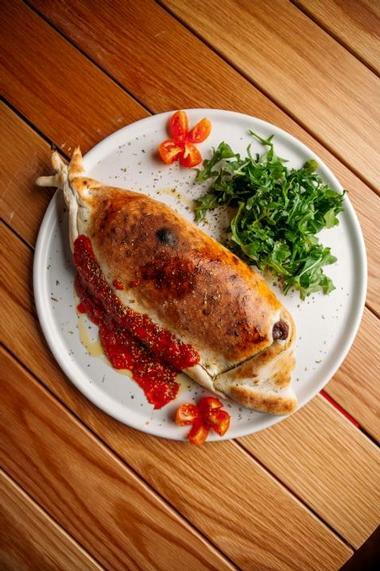 Dolce Vita is the second restaurant owned by Chef Marco Wiles focusing on delicious, authentic, Neapolitan pizza. With a custom designed imported wood burning oven and a casual atmosphere, Dolce Vita is the perfect place to get the quality pizza Italy is known for. Even though pizza is one of his favorite dishes to cook, he couldn’t resist adding a few authentic Italian dishes to the menu, including antipastos, pastas, and pesce and carne specials. For those who come strictly for the pizza, they won’t be disappointed with the Siciliana, Taleggio, Vongole, and Calabrese, topped with tomato, mozzarella, and spicy salami, among others. Giacomo’s is a classic neighborhood-style Italian Café that specializes in small plates of both the hot and cold variety designed to be shared. Every dish is prepared using the best local and imported natural ingredients available and made fresh each day. They focus on providing “big flavors” that give vegetables the opportunity to play the main character with the meats and seafood playing supporting roles. Ratatouille and Tonno e Fagioli are a sample of the cold dishes found on the menu. 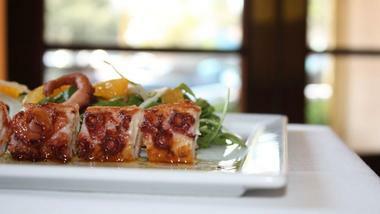 Hot dishes include Gamberi al Diavola and Salsiccia di Pollo – grilled chicken galantine served over frisée and arugula. Antica Osteria transports its guest to the romantic streets of Italy with its Tuscan inspired interior featuring warm aged walls and woodwork, robust colors, and subdued lighting. Whether dining in the main hall or out on the rustic patio lit up with antique light posts, visitors will feel Italian vibes surrounding them. The menu consists of traditional Italian fare including beginnings of Antipasto Rustico, Carpaccio, and Capesante All’Antica – prosciutto wrapped sea scallops that have been pan seared. Primi and secondi dishes include Spaghetti Alla Bolognese Spaghetti Alla Carbonara, and Scaloppine Al Funghi, tender veal sautéed with porcini mushrooms, tomatoes, and fresh basil among other delights. Arturo Boada Cuisine is a stunning boutique restaurant in Houston created by Bouda himself offering a vibrant ambiance filled with color and a menu full of flavor. 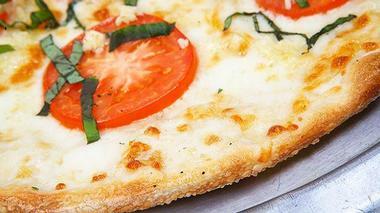 Guests will enjoy diverse offerings of pizza, tapas, and signature Italian dishes. 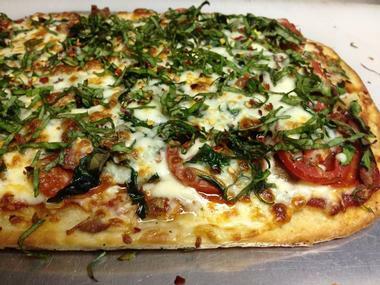 Their wood burning oven fires authentic pizzas such as Italian sausage with fresh fennel and spicy diavola sauce. Their eclectic tapas menu features everything from ceviche and calamari to Beef Blue and Papas Bravas. In addition, they boast a selection of pastas, meats, and seafood dishes like their Snapper Al Fresco, sautéed with fresh tomato, basil, garlic, and capers and topped with jumbo lump crab meat. Ciao Bello provides an Italian countryside dining experience with a main dining hall featuring a rustic color palate, plush booths, fanciful table coverings, and vibrant art adorning the walls. When combined with the awe-inspiring dishes created by Executive Chef Alan Paryzek, guests are treated with soulful Italian food that never fails to delight. During lunch-time, patrons will find a simple yet divine menu with items such as the Ultimate Chopped Salad, Chicken Frascati, and their house Bello Burger with caramelized onions, slow-roasted tomato, arugula, provolone, and white balsamic vinaigrette. Dinner is filled with classic menu items like Veal Picatta and Chicken Francese, Lobster Risotto, Tagliata, and so much more. Damian’s has been open for more than 30 years serving up authentic Italian cuisine that is “so Italian, you almost need a passport.” Their rich Old-World interior coupled with their Old-World tradition has draws in the masses, including the elite from movie stars to all-stars. 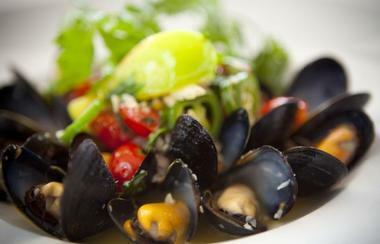 Damian’s menu is extensive featuring a selection of salads, antipastos, fine meats, homemade pastas, and fresh seafood. Guests can try everything from their Ravioli Vitello made with veal and pomodoro to Shrimp Damian sautéed in garlic, white wine, and butter served with fettuccine alfredo. 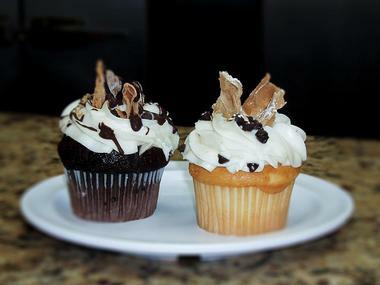 They even have an onsite bakery that creates fresh breads and desserts each day. 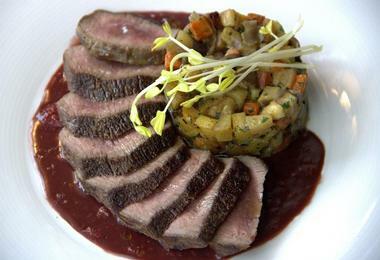 Da Marco is an upscale Italian restaurant where patrons indulge in a daring menu created by Chef Marco Wiles. The restaurant is featured in dozens of magazines for his innovative dishes, and guests will find everything from sea urchin to smoky lamb chops on the menu. Every dish utilizes simple elegance from a perfectly plated single ravioli with an egg inside to the house-made headcheese – a jelly texture perfectly complemented by heirloom potatoes. Guests will adore the primis like the Papardelle – wild boar with pecorino toscano, secondis like Fiji Snapper with scallops, pomodorini, and black olives, and desserts like their classic cannoli. Patrenella’s serves authentic Italian fare that goes back three generations in the very home where they all grew up. The home has been completely restored and renovated to maintain the character of the historic Heights and Sixth Ward, providing a warm ambiance for guests to enjoy delicious Italian cuisine. Patrons will savor delectable appetizers such as Frank Dame’s homemade sausage, stuffed artichokes, and fried mozzarella and traditional pastas such as Tagliatelle Genovese with pesto and pine nuts and Josephine’s lasagna. Seafood options include seared scallops with basil ricotta, pancetta, and tomato jam. Meat dishes like chicken marsala complete the dining experience. Capri Island native Vittorio Preteroti, who relocated to the United States in 1991, is the owner of Perbacco. He has designed his menu based on the authentic Italian culinary philosophy of the Mediterranean Diet. At Perbacco, guests can choose from a selection of salads, casseroles, pastas, and items from the grill during lunch, and a selection of antipastis al fornos, insalates, chicken, and fish items during dinner. 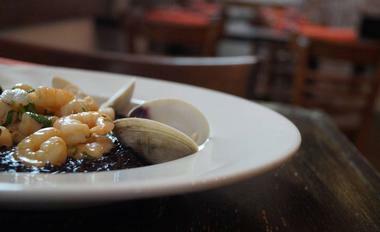 The menu offers everything from Cozze Alla Marinara, which is mussels marinara style, to Vitella Al Marsala, veal in a classic marsala sauce with mushrooms. 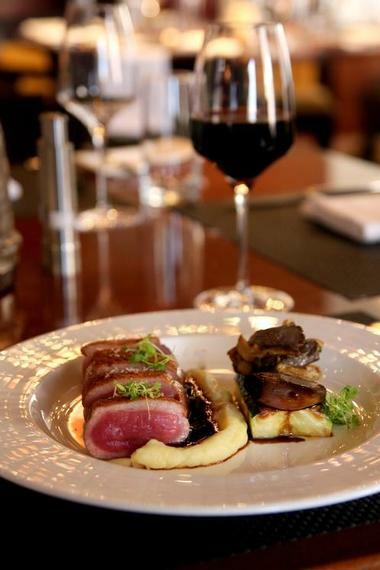 Entrées are complemented with wines imported from the south of Italy. Sorrento Ristorante is an Open Table Diner’s Choice award recipient for Best Romantic Italian Dining in Houston. 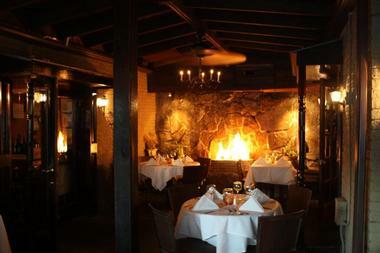 The neighborhood favorite has earned accolades for its ambiance, service, and quality cuisine. They feature extensive menus for both lunch and dinner, offering antipastis, zuppes, pizza’s, primi piattis, secondi piattis, and dolces. Decadent dishes like soft polenta and jumbo lump crab cakes in a garlic cream sauce and wild mushroom risotto with truffle sauce are tempting starters. Mains consist of innovative dishes such as lobster and arugula tortellini in a lemon cream and caviar and gnocchi with arugula, caramelized onions, and gorgonzola dolce. 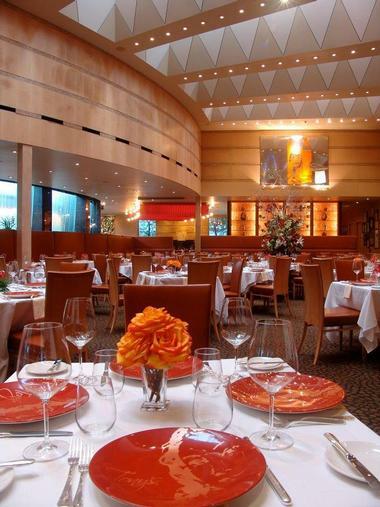 Tony’s is a world-class fine dining experience created by Tony Vallone, one of the originators responsible for the Italian food and wine renaissance in America over the last five decades. His legendary restaurant has a contemporary chic ambiance, and his menu reflects influences of Naples and Milan. For lunch, guests can savor dishes like Gazpacho Di Mare with crab, shrimp, and polpo and Fire Roasted Hen with rapini and natural jus. Dinner entrées include Tonno Crudo r(ibbons of ahi tuna and avocado in a soy lime vinaigrette) and Fettucine with jumbo lumb crab in a vodka sauce with Vallone sausage. Enzo Finazzo’s Buon Appetito Restaurant is as much about the ambiance as the food. The first Sicilian restaurant to open in Houston in 1975, it looks about the same today as it did then. Eating there is similar to having a comfortable dining experience at your Italian grandmother’s house. Seating is scattered throughout small intimate rooms, candles flicker on linen covered tables, and Tino Cantu fills the house with the sounds of his string guitar. Starters include a minestrone soup from Enzo’s grandmother’s recipe and a homemade bouillabaisse. 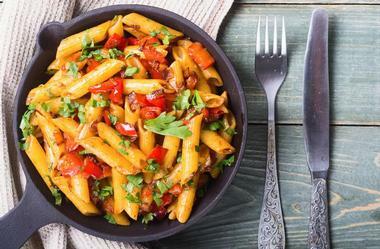 Pastas with sauces like lasagna layered with meat, tomatoes, and béchamel sauce and pastas with seafood like fresh salmon sautéed with shallots, garlic, and tomatoes over penne pasta are house specialties. Drew’s Pastry Place is inspired by the local cuisine of Northeast Italy, and it is intended to give customers a taste of what being part of an Italian family feels like. The restaurant specializes in all things pastry with a few lunch items including sandwiches, pizzas, and classic Italian dishes. Guests can indulge in a meatball hoagie with house-made meatballs and sauce topped with mozzarella on a soft hoagie bun and top it off with a slice of delectable Italian Cream Cake. In addition to his lengthy dessert and pastry menu, the restaurant also offers a wide range of whole cakes and pies to take home, including classics like Tiramisu and Tres Leches. Mandola’s Deli is a family owned and operated establishment that has been open since 1977 with Frank Mandola and his son Joseph at the helm. Every day this pair stands behind the counter at their Italian deli greeting every customer with their grazie-tude along with their rambunctious staff. The menu offers a wide range of appetizers, soups, salads, Po’Boy sandwiches, Italian specialties, and even an “if you must” section featuring a few burgers and a Rueben. Guests can get everything from a fried shrimp Po’Boy to a classic Chicken Marsala – grilled chicken breast topped with mushroom marsala wine sauce. Mascalzone restaurant comes straight from London-town where its sister restaurant currently resides, bringing with it a unique gastronomic experience. This vibrant, fun, and stylish restaurant boasts a dynamic menu of made-to-order pastas and hand-tossed pizzas hot out of their state-of-the-art Marana Forni pizza oven. They also offer traditional Italian fare, including antipastas, pesces, and carnes like their Scallopine al Limone, seared veal scallops in a white wine, caper, and lemon sauce. Mascalzone also offers gluten-free and vegan choices for both their pizzas and pastas with vegan cheese and choice of sauce. For an authentic experience, a Chef tasting menu is offered each day. Mia Bella Trattoria lives up to its English translation “My Beautiful” from its interior design to its stunning dishes that combine Italian tradition with hints of American flair. 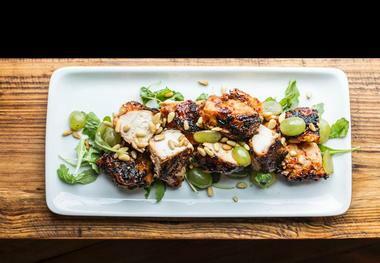 Owner and Chef Youssef Nafaa created a provocative menu using imaginative ingredients and daring preparations, expertly taking classic recipes and adding unexpected elements that set them apart. A perfect example is his Mezzaluna, porcini mushroom and goat cheese filled mezzaluna, marsala romano sauce, and a dollop of goat cheese. Main entrees such as his Sicilian Braised Beef Short Ribs with sweet pea risotto and balsamic chipotle glaze simply reinforce his genius. 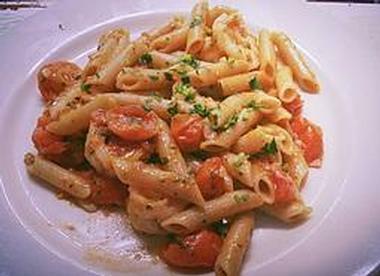 Napoli Italian Restaurant provides delectable authentic Italian fare inspired by recipes from both Northern and Southern Italy. The dishes are all prepared family style, making it the perfect atmosphere to share flavorful meals with those you love. They continuously remain innovative by adding new selections all the time to their already extensive menu that features appetizers, salads, pastas, pizzas, traditional entrees, and desserts. 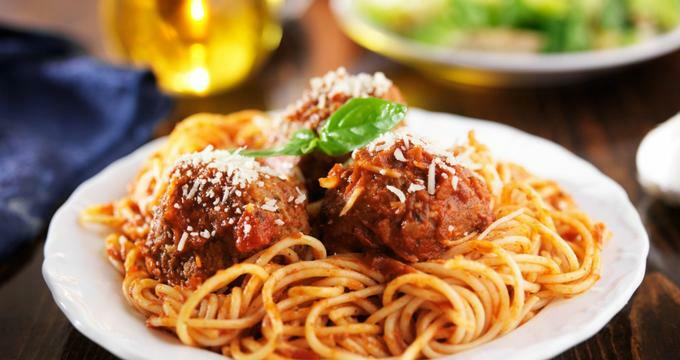 Some of the locals’ favorite dishes include the Fried Mozzarella, Chicken Fettucine Alfredo, Chicken Parmigiana, Pasta with Meatballs, and their Colossal New York Cheesecake. For those who like a little extra spice to their dish, try the Linguini Pescatore. Quattro Restaurant offers the very best in authentic Italian cuisine thanks to Executive Chef Rafael Gonzalez. He prides himself on providing quality Italian dishes to his customers that also exude the bold flavors Texas is known for. His commitment to excellence can be seen in his handcrafted ravioli’s, house-made gnocchi, and award winning brunch menu. Guests will dine on beautifully assembled gourmet Italian fare from his outstanding Panna Cotta to his Pan Roasted Duck. For a truly special treat, try the Gulf Snapper with sundried tomato-olive crust, fava beans, and asparagus. Radio Milano provides a blend of modern Italian fare with traditional, authentic favorites. Their contemporary ambiance comes through with rich tones, clean lines, and an artistic flair giving guests an elevated dining experience. Their late-night concept provides amazing craft cocktails, and small plates of off-menu items. They proudly support local ranchers, farmers, and fisherman using the highest quality ingredients to create out-of-this-world dishes. Guests can start with a Milano Salad (egg in a hole, pancetta, baby hydro lettuce and cilantro vinaigrette) and move on to a Ribeye topped with crispy shallots, bone marrow sauce, and asparagus. Ristorante Cavour is a premier Italian restaurant in Houston featuring Northern Italian cuisine in a serene setting beneath stunning Murano chandeliers. Guests are encouraged to savor the traditional Italian classics along with their seasonal house specialties. Each dish can be expertly paired with one of more than 600 bottles of vintage wine chosen from ten countries around the world. Diners can indulge in Zuppe Antipatis such as their Crudo Di Tonno (rae ahi tuna, shaved fennel, pine nuts, raisins, and citrus dressing) before moving on to entrées such as the Cavatelli, an Italian sausage ragout with red onion and roasted bell pepper. Vinoteca Poscol is the third Italian restaurant to be opened by world-renowned Chef Marco Wiles, and it is named after a street in his hometown in Italy. Like the wine bars that dominate the culinary scene in Venice, the restaurant focuses on Italian wine selections and small bites. The menu is simple and elegant, consisting of various meats, finger sandwiches, seafood, salads, flat breads, pastas, risottos, and brushettes. Guests will find a lengthy list of regional cheeses from cow’s milk, sheep’s milk, and mixture milk to pair nicely with their fine meats, as well as a delectable dolce menu that includes tiramisu brûlée. 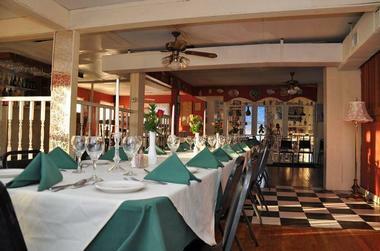 Grotto Ristorante is an authentic Italian restaurant that provides traditional dishes in an Old-World atmosphere. The soulful Neopolitan-inspired menu offers a wide variety of entrées made from scratch pastas and a charming antipasti display. Serving brunch, lunch, and dinner, they offer extensive menus covering everything from flatbreads and pizzas to meatballs and calamari during dinner and three-course business lunches. Diners will appreciate a unique brunch experience on the weekends with items such as Pane Fritto, an Italian-style French toast with Grand Marnier butter, amaretto syrup, bacon, and fruit. 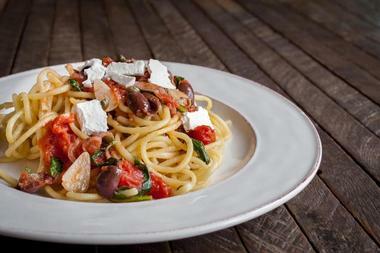 For more midday fare, they offer selections like the Linguini Carbonara and Bistecca con Uova. Coltivare is an Agricole Hospitality restaurant where the philosophy is simple, natural, earthy, and unadulterated with everything from the restaurant design to the food and beverages. Coltivare is committed to sustainable food and sports a 3,000-square-foot garden to back it up. The Italian restaurant opened in 2014 and immediately caught media attention after being named on Texas Monthly’s 10 Best New Restaurants list and Bon Appetit’s 50 Best New Restaurants in America list. Diners can expect the unexpected like spicy N’duja salumi with honey on bruschetta, grilled broccoli, pickled kohlrabi, brusssels sprouts salad with walnuts, revival pepperoni pizza with tomato sauce, mozzarella, greens, and parmesan, and other unique offerings.